The first thing I noticed was the famous word “enriched.” All their bread is made from enriched flour, sounds good enough right? What exactly is enriched flour? Basically they remove all the natural God-given nutrients from the flour to make a finer flour that also has a longer shelf life. Then in an attempt to make it healthy they add back the nutrients they just removed. Here is something interesting I found “When the bran and the germ (the parts of the wheat that contain vitamins and minerals) are removed, your body absorbs wheat differently. Instead of being a slow, steady process through which you get steady bursts of energy, your body breaks down enriched flour too quickly, flooding the blood stream with too much sugar at once. Your body then has to work hard to absorb the excess and stores it as fat. This causes quick highs and lows in your blood-sugar level which can lead to type-two diabetes and obesity. All this and you’re not even getting close to the amount of nutrients that whole grains contain.” Source: http://www.bhawkindustries.com/blank?pageid=174&catstart=0&prodstart=0 Sure sounds “healthy” to me, what about you? Ok so we know the enriching process is a bad deal, what else can we find on their list? Soybean Oil. We know from GMO class that soybeans are pretty much all GMO unless they are Organic. Sorry Subway… you lose again. Then we see “yeast nutrients” which from my research is just a hidden way to put some yummy MSG in our food. See hidden sources for MSG here. Plus we have “natural flavor” again a good hiding place for MSG and “caramel color” which is what exactly? Certainly that must be natural right? I wasn’t giving up though. I thought ok, so there must be one option on their menu that would be healthy. I scrolled down and read “honey oat bread” I saw organic cane juice solids there, now we are on to something! But after further reading they use the same “wheat bread” as a base for almost every bread they make. There are no healthy bread options at Subway. At which point I became discouraged and quit reading. I figure if I can’t get a healthy sandwich at a place that is supposed to sell healthy sandwiches, then I didn’t need anything from them. *sigh* I have to admit I was pretty disappointed, I thought for sure with as healthy as we are being told these guys are that there would be a healthy sandwich option. Just goes to show you that reading ingredients is very important. I used to love to be blind to the things I was stuffing my face with, but no more. It seems like now I’m obsessed in a completely different way, and I have to tell you I like this new Corri! I’ve been taking quite a bit of time to read other people’s blogs, what a fun world this is that we can read about what others are doing on the other side of the world! I also enjoy that there are so many like-minded people. Many people are “getting back to the land” and going more traditional in their cooking and eating. I’ve read a couple this morning that really inspired me. 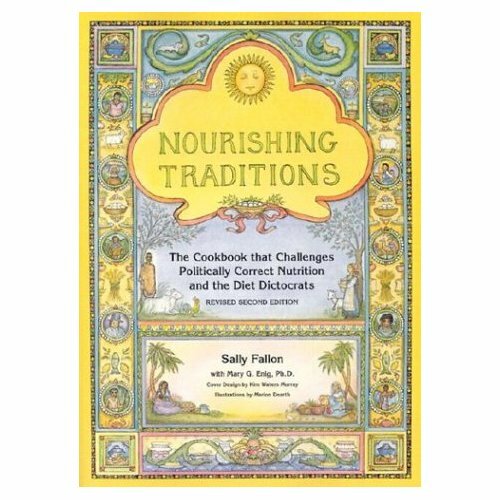 http://livegrownourishcreate.wordpress.com/ one of my blogging friends has a book that we both share, Nourishing Traditions. My life gets off onto tangents a lot and I get lost in doing this or researching that. Honestly in the natural traditional world it’s easy to find the next best thing and get off track. I’ve been doing that recently with raw food. Now, don’t get me wrong I think eating 51% of our meals raw is important, but I’m also losing touch that in fact the raw butter we use, and the raw milk we drink, are in fact…raw. I was really inspired by this post: http://livegrownourishcreate.wordpress.com/2012/03/13/creamy-coconut-soaked-porridge/ I’m getting really lax soaking my grains. This practice has got to stop and I started that with making some sourdough bread last night.